Arpenik Aleksanyan was born in Tbilisi on November 19, 1925 in a family earlier emigrated from Van. In 1934-1944 Arpenik attended the Russian biased school N 47 (since 1943 it has been renamed N 51). 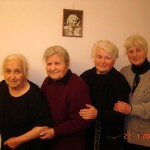 In 1944 after finishing the school she entered Yerevan Medical Institute (University). From the second year of her studies Arpenik continued her education in Tbilisi Medical Institute (University) to be closer to her family. 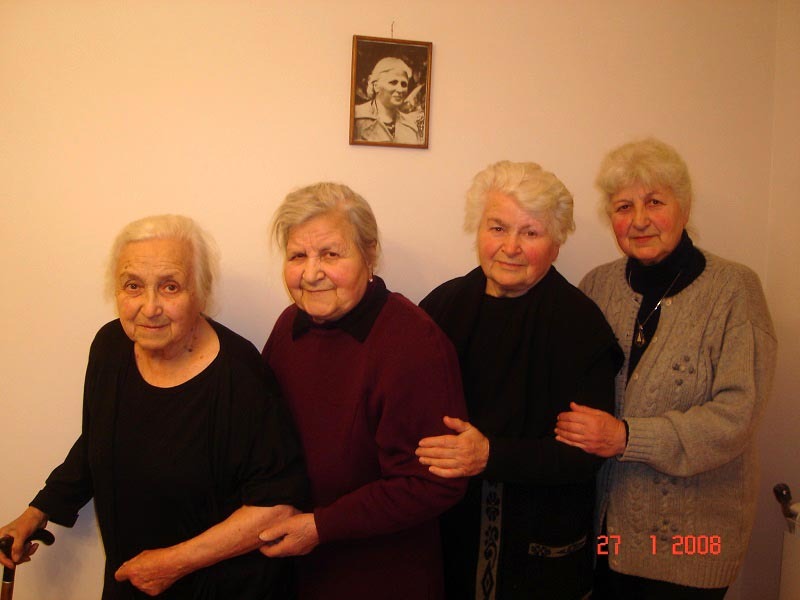 In June 14, 1949 when Arpenik was taking her final exams at the Institute she, together with her sisters Asya and Silva (the eldest sister Armenuhi was already married, had a child and changed her maiden name) and parents was exiled to Siberia like thousands of other Armenians living in Georgia. So, the Tomsk province, Visokiy Yar village in Parbig region was determined as a lifelong place of residence for the Aleksanyans’ family. The official accuse for the exile was that Aray and Ashkhen were “former Turkish citizens”. While in Siberia, during the long five years of exile (1949-1954) Arpenik has been keeping a diary (in 11 copybooks). In 1953-54 after Stalin’s death, Arpenik was able to continue her studies in Tomsk Medical Institute (University). 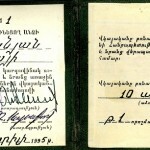 However, before the final exams Aleksanyan family got the long-awaited decision of their liberation and their permit to return home in Tbilisi. In 1954-55 Arpenik resumed her studies of medicine: her graduation course was held at Yerevan Medical Institute (University). 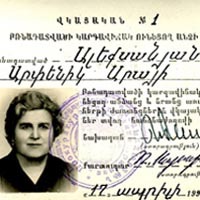 In December 1955 Arpenik married Tiran Marutyan (1911-2007). They got two children (Harutyun and Tatevik). From 1956 to 1990 Arpenik had worked as a leading pediatrician in N 3 Republican Clinics of children’s hospital in Yerevan. In 2007 her diary was published with active support of her family and relatives. The diary/book was written in Russian and titled “Siberian Diary: 1949-1954” (“Сибирский дневник: 1949-1954 гг.”). With this edition of the Diary a newly created series of books “The Anthropology of Memory” initiated by the Institute of Archaeology and Ethnography of National Academy of Sciences of Armenia was started. Arpenik Aleksanyan passed away in 17 December 2013. 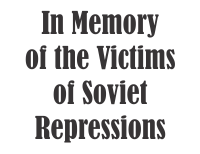 It was Arpenik’s wish to inform as many people as possible about the true face of the Stalin epoch of brutal repressions. The limited edition of this book was expired long ago since the interest and demand on the information the book contained was unpredictably huge and insatiable. People want to know about their history. Therefore we consider very important to manage the e-version of the Diary authored by Arpenik Aleksanyan to reach online as many readers as possible. That would be a wonderful opportunity for all to know more about reality in the last century from the words of the author of this book who held the title (N 1 certificate) of “person with the status of repressed”.